Broccoli is one of the most delicious and nutritious vegetables to have on plate. You can have many dishes out of broccoli. With broccoli recipes that you can serve for your whole family, you need to make your imagination works. That is because there are plenty of ways that you can do with flowers of broccoli. Here are some samples of broccoli recipes that you can easily make and serve for yourself and your family members. This recipe is perfect for both casual and formal dinner. In fact, you can entertain your guests with this beautiful and scrumptious dish if you don’t have enough time to cook. It takes you only a few minutes to cook it. The ingredients that you need to prepare are 1 pound of broccoli florets, 1 teaspoon of red pepper flakes, 1/8 teaspoon of kosher ground black pepper, 2 tablespoon of olive oil, 3 tablespoon of finely grated parmesan cheese, 1/4 teaspoon of kosher salt, and 1 teaspoon of brown sugar. 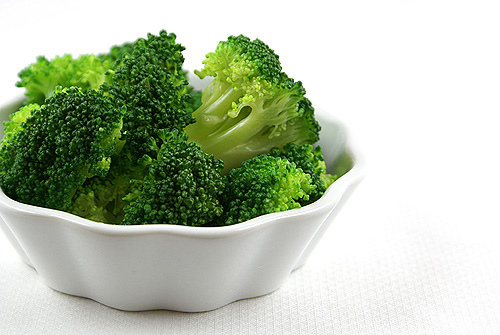 The procedures are the following: First, boil water in a pot, then steam the broccoli florets for 2 to 3 minutes. Remove the broccoli immediately after with strainer, then immerse it in icy or cold water for another 2 minutes. Afterwards, place them on a lined paper towels to dry. In a separate clean bowl, mix brown sugar and parmesan cheese together. Set aside the mixture for a while. Put oil into a large skillet, preheat in medium heat, throw broccoli and season it with red pepper flakes, pepper and salt. Stir well as you mix all the seasonings. Remove it and sprinkle with parmesan cheese and brown sugar before serving. 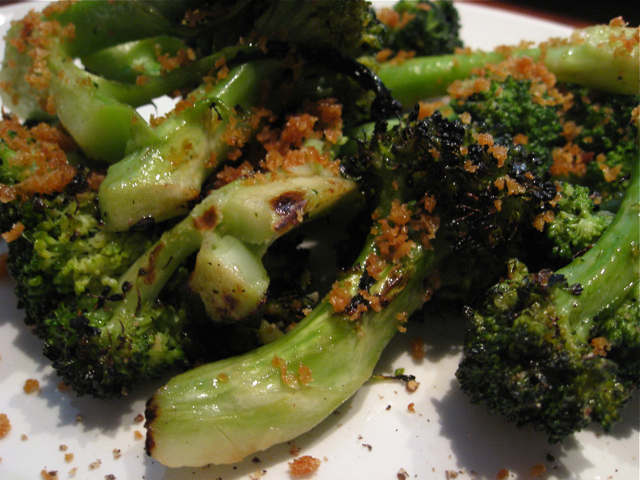 You may prefer grilling broccoli rather than sautéing. That said, you will need at least 2 heads of broccoli florets, a few tablespoons of bottle balsamic vinaigrette salad dressing or any salad dressing of your choice. To serve this particular dish, clean the broccoli florets. Place the florets and some salad dressing into a large plastic bag that is resealable. Make sure that you squeeze living air inside the plastic bag. Put the bag into your refrigerator for 8 hours. After that, preheat your griller in high heat. Pour some oil in the grill, while you drain the broccoli before start grilling each and every broccoli for 2 to 3 minutes, or until they become a little brown. Make sure that you turn sides every minute to have the florets well cooked. Another delicious and easy-to-cook broccoli dish is if you add back ribs. Just steam broccoli and prepare any salad dressing. Back ribs must be grilled. So, ensure that ribs are soaked with a mixture of pepper, olive oil, soy sauce, vinegar, chopped garlic and onions, and 1 teaspoon of sugar if you like to sweeten it. Place both cooked broccoli and back ribs on plates when serving. Beat two or three eggs and mix them with some chopped broccoli (tiny pieces), sliced tomatoes, diced garlic and onions, and a pinch of salt. Stir all ingredients in a bowl and fry. In another pot, steam broccoli florets for 2 minutes. Place fried eggs on a bowl or plate and decorate with some florets on top. You can serve this dish for breakfast, lunch time or dinner. 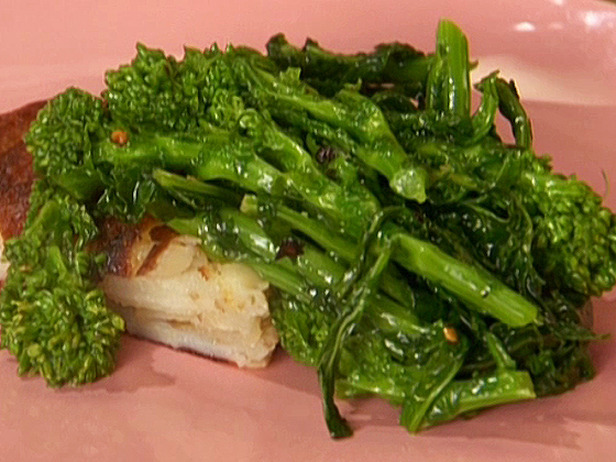 These are only some of the countless dishes that you can make using broccoli florets. Try to be creative and make your own recipes, since broccoli is a very adaptable vegetable. Any common ingredients and condiments can match with it. Just two rules when cooking broccoli to remember and those are to thoroughly clean and not overcook it.